Thursday is ladies night at The Royal Oak! 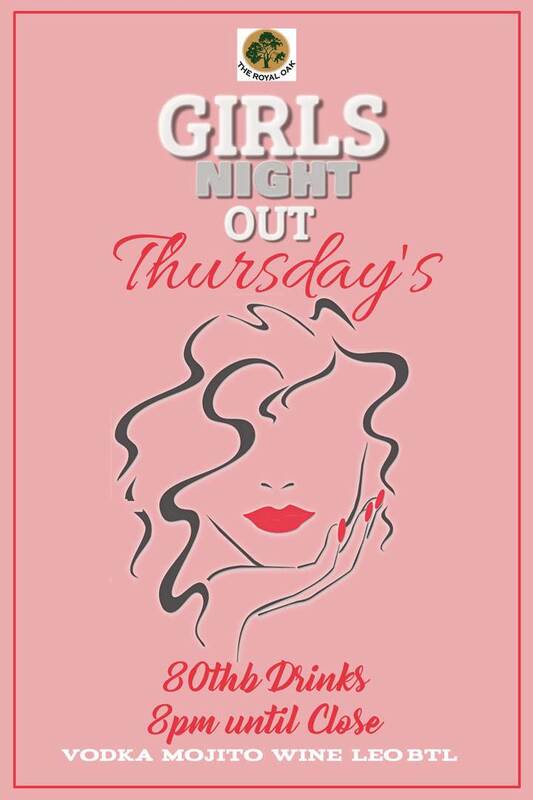 Every Thursday is ladies night at the Royal Oak with a truly amazing deal for all you ladies of just 45 THB for a choice of: Mojitos, House wine, Leo Beer or Vodka with mixer. Free Chang beer. Free Mojitos. Free Vodka & Coke.